The important plant nutrient phosphate is required only in small amounts. An over-supply creates algae problems. 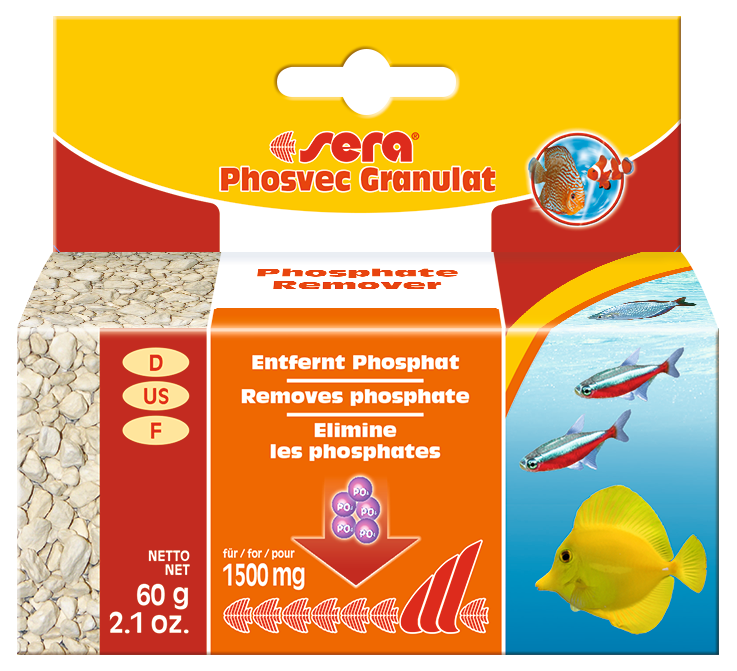 sera phosvec Granulat removes phosphate easily and safely with long-term effects. 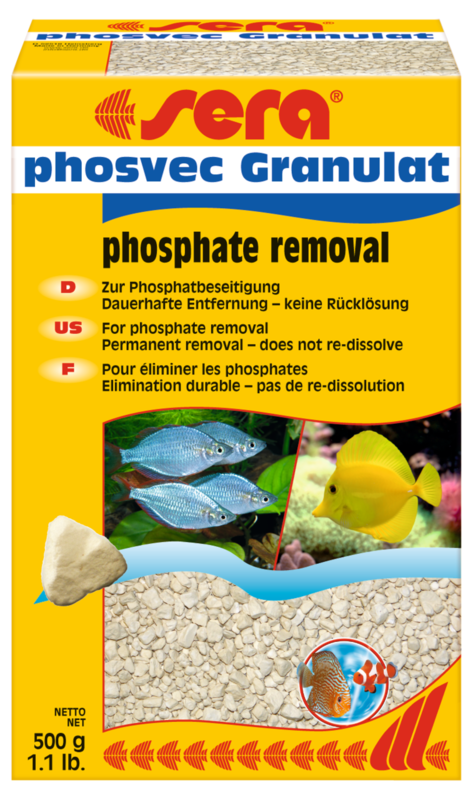 The granules remain active up to three months, according to the aquarium size and the water pollution. Suitable for filtration of fresh and marine water.